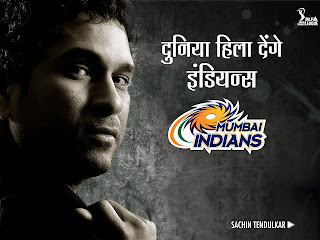 Living Legend Sachin Tendulkar - A site from a die hard Sachin Tendulkar Fan: Tendulkar unhappy with IPL - 2 . Tendulkar unhappy with IPL - 2 .
for the sake of its people back home. It is disappointing that the IPL -2 has been moved out of India. We will certainly miss playing in front of our supporters. It won`t be the same. I am sure that the authorities must have tried to hold the IPL in India but it is not workable. You have no other choice,said Tendulkar. Tendulkar said that no matter where the mega-event is hosted, it would be difficult to get the same kind of atmosphere on the ground as it would have been in India.It is going to be difficult to replicate the atmosphere abroad,” added the master blaster. It was a good concept to play home and away matches. This is something that the teams will miss this time around.